I will have more news soon, but I wanted to let all my backers know that last’s night’s pilot was a remarkable success! Lily gave the packed house an unforgettable night, and our production team turned your generous backing into Hollywood magic! I’m so glad some of you were able to travel to the event and say hello after the show. Next step is to try to distill Lily’s remarkable 50-year career into an hour-long pilot. We have so many wonderful stories to choose from! 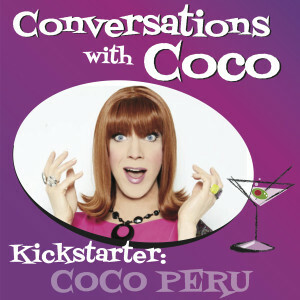 Find your Conversations with Coco backing level, and the estimated delivery date will be listed below. 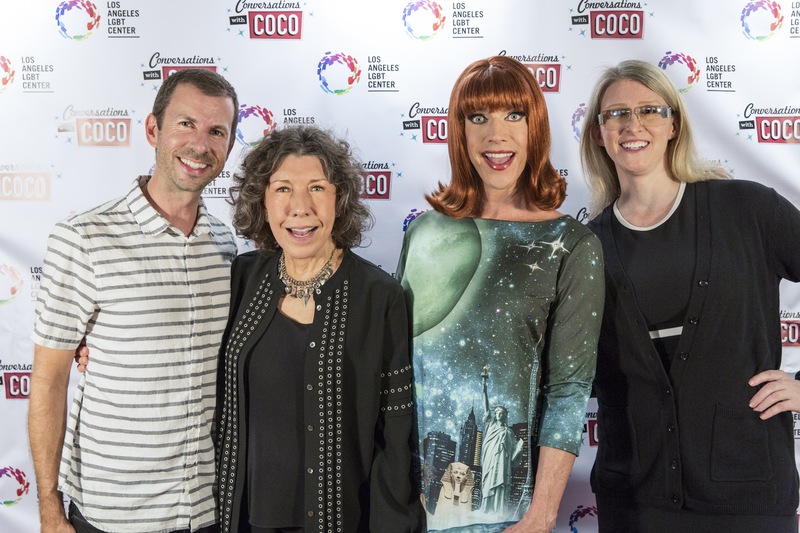 Lily Tomlin and Coco Peru. In other words…. dreams sometimes do come true. Drag icon Miss Coco Peru announced a Kickstarter campaign today to film a for-profit series pilot of Conversations with Coco, based on her live theatre fundraising events. 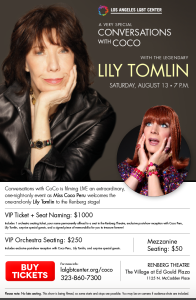 Her scheduled guest for the planned August 13 pilot is Lily Tomlin. 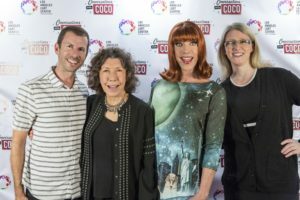 Coco added, “I am pulling out all the stops and offering rewards to my fans I’ve never even offered before,” including personalized memorabilia, lunch dates, and VIP tickets to the event. 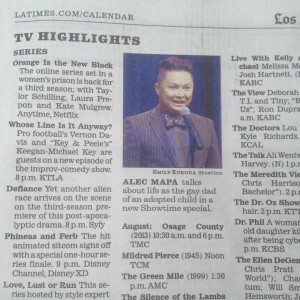 Alec Mapa: Baby Daddy premieres on Here TV Friday, August 28. Check their schedule or watch it on Video On Demand any time between August 28 and September 24. Here TV is available as a 24-hour premium television channel as well as a subscription Video On Demand service. To subscribe to Here TV, click here. “Baby Daddy” is full of adult humor. However, Mapa gets serious several times when he talks about social workers, including the story of how a chance phone call made by a social worker united he and his husband with Zion after they had given up hope they could be his parents. 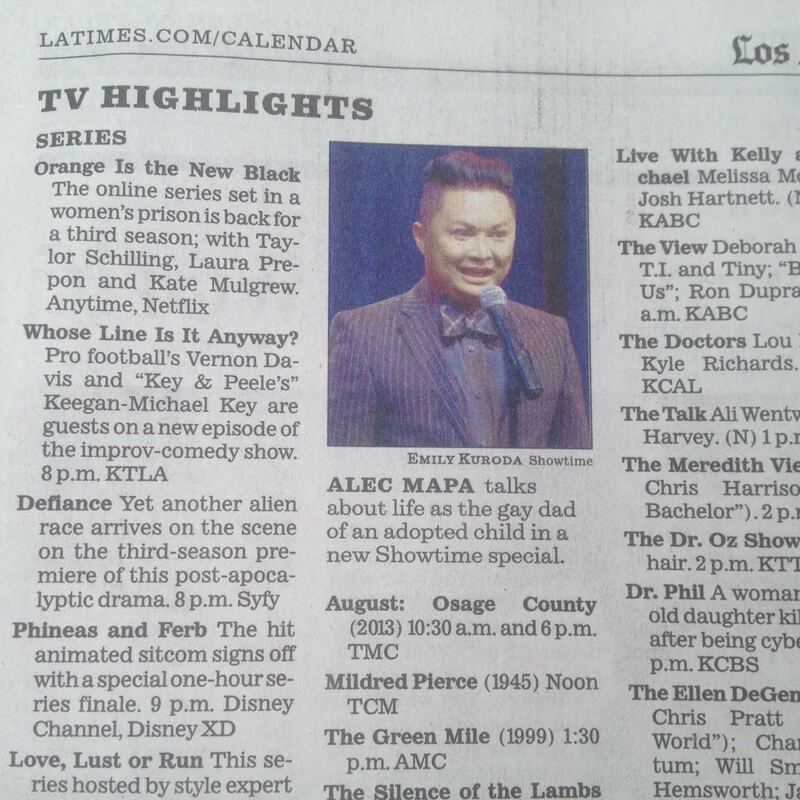 Go here to watch the trailer of “Alec Mapa: Baby Daddy” and find out when it is airing on Showtime and how you can watch it on demand. And to learn more about how social workers build families through adoption visit the National Association of Social Workers’ “Help Starts Here” Adoptions and Foster Care website.